Dita daily newspaper has published a ranking of top ten cities to live in Albania for 2014. This initiative was undertaken by a group of students of the Faculty of Philology at the University of Tirana in collaboration with National Agency of Tourism and «campusALBANIA» social club. For some months they have been analyzing the standarts of living for citizens in various cities, based on the main criteria of a good living, such as: criminality, the price of food and buildings, social life, urban infrastructure, ect. This city deserves to be ranked in the first place as the heartland of southeast of Albania. Korca is a city full of parks, with a rare architecture, a mixture of ottoman architecture with special elements of the Greek, Italian or French architecture. The excellent traditions in culinary, hospitality, arts and music make this city attractive to live in. 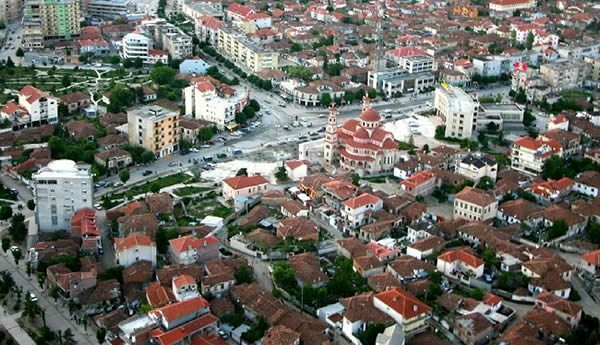 With an improving infrastructure and located in the junction of Greece and Macedonia, Korca is considered to be the best city to live in for 2014, away from the noise and dust. Its population is estimated to be 90.000 inhbitants and is an important administrative center. Korca is the city that offers enjoyable opportunities for education, investments and employment. This city can offer everything you need except the sea. Permeti still remains a good solution to live in. Situated along Vjosa river, with a population of about 12 thousand inhabitants, the city is covered in green grass of parks and gardens. The air is fresh and clean and a low level of pollution and the environment is well preserved. In the last years, the price of buildings has increased but it is worth investing in this city not only for the warm and friendly welcoming of locals but even for the tranquility and security. With its fantastic prices that make it different from other cities, its worth living in the beautiful city of Përmet. This city is situated in the Albania part of Gjakova Highland, near to the breathtaking Albanian Alps. Criminality almost doesn’t exist and locals are very generous and welcoming. Here you can live well and not spend too much. The road connection with Gjakova city has helped in improving city’s economy. If you choose to travel to Barjam Curri by train ferry through Komani lake, you will be impressed by the beauty of nature. Private investments in Valbona Valley have increased dramatically in the last years and are helping in attracting many Albanian and foreign visitors. Valbona Valley it’s a protected National Park and considered to be one of the most unpoiled touristic areas of Albania. Vlora has become over the years one of the most cosmopolite cities of Albania. There are a lot of investments in the real estate sector and having an apartment in Vlora is a trend. As a touristic city, Vlora is more clean and quiet than Durresi, more cheaper than Saranda and has a lot to offer in the employement sector, in education (since this city has its own public university), and entertainment. The city is becoming the main center of Albanian Riviera. The finalization of Levan-Vlore highway will shorten the distances of Vlora with other urban centers and will help in the further development of local economy. Pampered by nature, this city is blessed. It has a harsh winter with low temperatures and a shiny summer along the lake. Situated near Korca city, Pogradeci has unique traditions, especially in culinary. In the last years, the city has been well managed by local government in preventing the construction of illegal buildings and in the improvement of infrastructure. In general, Pogradeci is a quiet and picturesque city during the whole year. The city remains a lovely nest for all lovers and those who like to spend their holidays in cities like Pogradeci. We choose this city as one of the cheapest to live in. With a virgin natyre, healthy food, traditional drinks and fresh air, we advice Corovoda as the place where the third age persons can enjoy the quiet and peaceful days that this city can offer to them. The locals are distinguished for their respect to foreigners and the joyful social life. The road infrastructure still remains a concern while investments in garment industry have increased the number of people employed by increasing at the same time their incomes. The city of Rreshen is the main center of Mirdita at about 9 thousand inhabitants. It is well known as one of the hearth of Albanian Catholicism. The locals are characterized by hospitality and generosity and there you can visit one of the most beautiful cathedrals in Albania. Rresheni is a clean city, quiet as well and with low prices of food and houses. The power never goes off and the water is clean but the traditional food must contain more oriental-mediterranian culinary elements. Once it was a farm and a naval base with hardworking people that didn’t know how to manage the natural resources and gifts given by nature. Nowadays is one of the most prominent coastal areas of Ionian sea. The improvement of road infrastructure and the awareness of locals have transformated the city into the preferred destination of family tourism. It’s a competitive and attractive small coastal city during all seasons. No matter if you go on vacations, to invest or to live in it, Orikumi remains one of the most relaxing and charming small cities in the southern Albania. Situated between Drin river and the legendary mountain of Korabi, the city of Peshkopi has been and remains one of the most traditional cities, with its cleanliness and social welfare. The city of Peshkopi is a crossroad between Albanian and Macedonian trade roads and has its own university branch. The local and central government have made a lot of investments in this city. It has the profile of a quiet city when you can live well without spending to much. The construction of Arbri Road would give this historic region the proper authority. The beach-city is characterized by the cleanliness and its one of the cheapest along Adriatic coastline. For the last 8 years, Shengjini has been able to attract tourists and also new inhabitants. Numerous investments in construction, tourism, transport and other sectors make this small city a very nice place to live in. *This article was published under “My fantastic Albania” category. “My fantastic Albania” is a project of the National Agency of Tourism, which aims to introduce to the Albanian reader every week with different touristic destinations which are worth visiting during 2014.